If you’re like countless Americans who have tried to combat thinning hair, follicular unit extraction (FUE) may be the solution for you. FUE is an advancement in hair restoration that produces a natural look via transplant. This industry-leading procedure reduces the pain and scarring that occur with other transplant methods. If you’re looking for a more youthful head of hair, here are a few ways you can benefit from an FUE hair transplant. Before the transplant process begins, hair samples must be harvested from other places on the scalp. These healthy hair units are then relocated to any balding areas. The initial harvesting process can actually be done through a more automated method–a NeoGraft hair transplant procedure. This increases the accuracy, speed, and comfort when obtaining the hair units. The NeoGraft also helps ensure each hair remains more intact and allows for your transplant to be done sooner with more robust results. In some other methods of hair transplants, like follicular unit transportation (FUT), a linear incision is required. For those who naturally wear their hair in shorter hairstyles, the scars from these other types of procedures can be visible. However, FUE has no such incision and reduces unsightly scarring. The FUE hair transplant procedure is done by small “units,” rather than strips (like in the traditional hair transplant strip method). In addition to less scarring, the transplant procedure involves considerably less pain. Instead of the traditional method of having long, linear incisions, there are small holes with graft transplants that take less time to heal. This makes the procedure minimally invasive, with no stitches or scalpel incisions. All of these steps are done in a routine, outpatient procedure so that you can get home and back to everyday life as quickly as possible. For FUE hair transplants, the experienced medical professional will mirror the patient’s original hairline. In addition, each of the hair units is placed individually, rather than in strips. This allows for greater customization in the placement of the new hair and can yield better results. 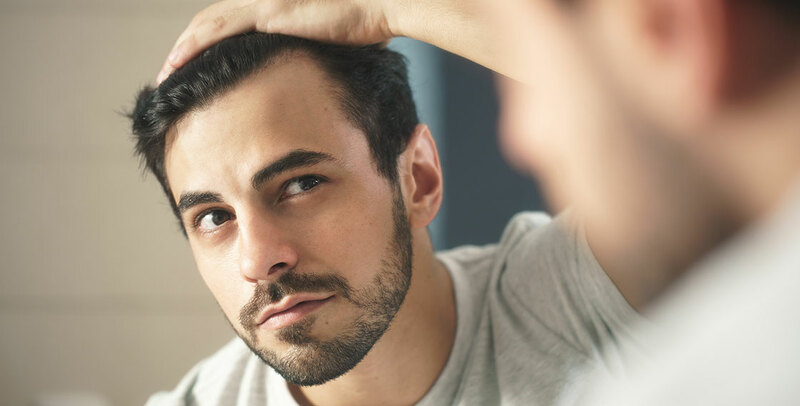 Many patients report that their hair grows more naturally and in a more appealing formation with FUE than it does with other forms of hair transplant. After your procedure, you can expect a period of shedding that occurs, followed by regrowth. As the healthy hair takes root, it will grow back naturally and in the predetermined transplant locations. If you’re in the San Diego area, there’s a team experienced in FUE hair transplant technicians right in your own backyard. SDBotox has more than 5 years experience and has treated more than 10,000 patients in aesthetic medicine. A leader in San Diego for non-invasive procedures, their highly qualified team of doctors and nurses provides a comfortable, innovative, and personalized treatment plan for every patient. For FUE hair transplant patients, our team works closely with you to create a plan that will create the most natural work possible for you. Visit one of our two locations in Hillcrest and Pacific Beach for a variety of services, including Botox, CoolSculpting, laser hair removal, hair restoration, and dermal fillers. Book a free consultation today and learn more about our hair transplant services.